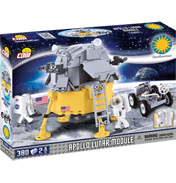 Lego makes small plastic bricks that are connected together to make an array of different objects and subjects; everything from buildings, vehicles, animals and much more. 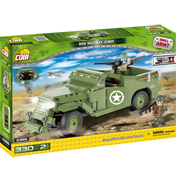 Lego is such an amazing toy that it was voted Toy of the Century by both the US and the UK. Lego began in 1932 in Denmark. 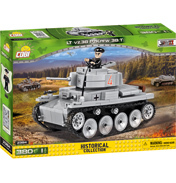 It was founded by Ole Kirk Christansen when he opened a small factory producing wooden toys. It was only 15 years later that Christansen began to use plastic for making toys. In 1949 he made his first Lego brick, a simple idea that has been pleasing children all over the world for over 50 years. There are now 2400 different Lego brick shapes. 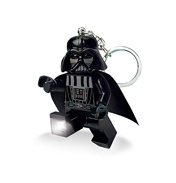 But Lego doesn’t just make these very famous bricks, they also make 25 additional product lines that are sold in more than 130 countries, and in terms of sales Lego is the fifth largest toy manufacturer in the world. The company name Lego actually comes from two Danish words ‘leg’ and ‘godt’ which mean ‘play well’. 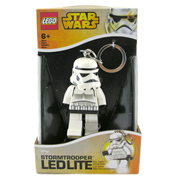 The ranges from the Lego brand are very varied and diverse. 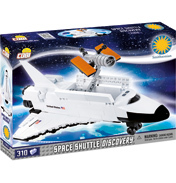 There are so many different building sets to choose from and also a range of children’s developmental toys. Children can build a world of their own or recreate scenes from their favourite movie at the same time as developing important motor skills and problem solving skills. 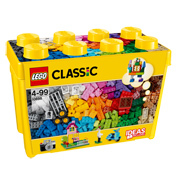 Please take a look through all of our shelves of Lego to find that perfect toy to inspire your child. The Atlantis range is set underwater, searching for the city of Atlantis, in your search you may need a Seabed Scavenger or a Deep Sea Raider, everything you need to excavate the ruins of this famous lost city! 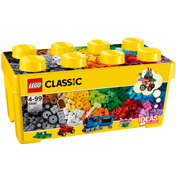 On the Bricks & More shelf you will find a number of Lego sets perfect for younger children graduating from Duplo. The sets are simple, fun and there are great themes like the Airport Building Set and the Castle Building Set. All are aimed at children aged 4 years+. You can make your very own city with the Lego City Range. 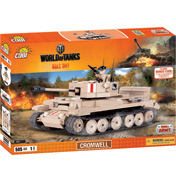 Again aimed at the young builder aged 5 and above, with a simple assembly and very realistic models children love this range. There is an Airport and a Fire Station and even a Pig Farm and Tractor for the outskirts of your city. 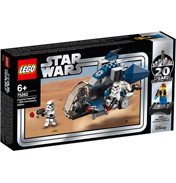 The Lego Creator range introduced in 2005 allows you to make 3 different models from the set of bricks. The Fire Rescue set can be turned from a Fire Engine into a Helicopter and then a Car. That does sound like fun! 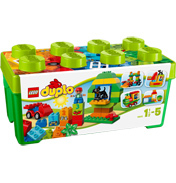 On the Duplo shelf you will find the very popular range of larger bricks aimed at 18months -5 year olds. 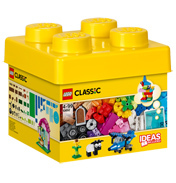 You could choose the Duplo Deluxe Brick Box or one of the many sets, how about the Busy Farm or the Creative Cars? The Games shelf is great! You build your game then you play it, pack it away when you have finished and then when you come to play again you can build a completely different game. There are games based on the Atlantis and Ninjago ranges plus many more. The Hero Factory range was released in 2010 and is the successor of Bionicle. The story is based in Makuhero City and the Hero Factory makes robot heroes which are sent to help people in an emergency, like the Alpha Team Leader Stormer 2 with its new headgear packed with sensors to command the team. Ninjago Masters of Spinjitzu is a fantasy world based around the unique battle element of Spinjitzu and a group of Ninjas. These Ninja warriors are all available like Kai, Cole and Krazi and they can all practice their fighting skills in the Spinjitzu Dojo. 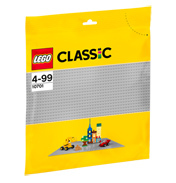 The Technic range is one of Lego’s longest running lines beginning in 1977. 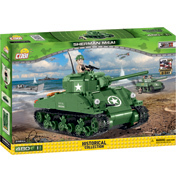 The models are made with interconnecting plastic rods instead of the classic Lego brick so that they are more realistic and have more movement. 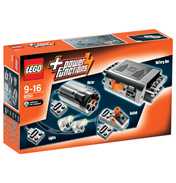 Many of the sets also come with pneumatic pieces and electric motors. 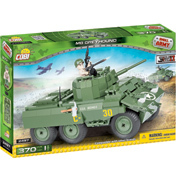 And there are many sets to choose from, including a Bulldozer, a Motorbike, and an Off Roader. The newest addition to the Lego collection is the exciting new range called Legends of Chima. Battle it out for the most powerful resource called Chi. Which animal tribe will you like best? Find out in the Legends of Chima shelf. As well as all the wonderful Lego toys we have described above, we also stock Ben 10 Lego and Doctor Who Lego in the Character Toys Room. We hope you enjoy looking at all of the Lego products we have to offer here in the Toy Shop at the World Wide Shopping Mall.